Ashley Pratte: Could Pete Buttigieg could be the new Joe Biden for bipartisan voters? Ashley Pratte Could Pete Buttigieg could be the new Joe Biden for bipartisan voters? The 2020 election will be decided in rust-belt states and suburban areas, where the South Bend, Indiana mayor plays pretty well. Six months ago I couldn’t have told you who Pete Buttigieg was or pronounce his last name — I still can’t — let alone predict that he would be a top fundraiser among the 2020 Democrat contenders. But, since he announced the formation of his presidential exploratory committee, there has been an unexpected groundswell of support for him across the country. Every election needs a dark horse candidate and the South Bend, Indiana, mayor seems to be it. In politics, with money comes attention — and now he’s got both. Since his first televised town hall on CNN on March 10, Buttigieg has added almost 450,000 Twitter followers — beating many of his competitors in the already crowded Democratic primary field. In a recent poll of Iowa Democratic caucus-goers by Emerson Polling, Buttigieg placed third overall behind Joe Biden and Bernie Sanders with 11 percent support — not bad for someone with low name recognition and a small campaign operation. He's made television appearances on shows like HBO’s "Real Time" and MSNBC’s "Morning Joe" and taped an appearance on Ellen DeGeneres show, set to air next week. Additionally, his book, “Shortest Way Home,” is the currently the 25th best-selling book on Amazon and is a New York Times best seller — above those of the others in the crowded primary field. Could Bernie Sanders win this time around? But, it takes more than money, some television time, a book and a social media account to run a serious campaign for the presidency — something that Buttigieg will learn in the coming days and weeks as he quickly pulls together an campaign infrastructure in the all-important states of Iowa, New Hampshire and South Carolina, among others. Still, his youth, energy and apparent ability to transcend partisan politics are having a positive effect. According to that Emerson poll of Iowans, he holds 22 percent support among those aged 18-to-29 — a demographic that leaned Sanders in 2016. This increasingly important base of supporters is crucial in order to turn out the vote and to encourage activist volunteerism across the country on behalf of a campaign; it also injects excitement and can turn a campaign into a movement, as we saw with Sanders. Trump is turning 2020 into a referendum on AOC and socialism. That's good news for Democrats. While his platform is a relatively progressive one, Buttigieg is turning heads on the other side of the political spectrum. He grew up in and now currently serves as mayor of South Bend, known for its suburban, blue-collar identity. He served as a combat veteran, attended Harvard, speaks about his Christian faith and is openly gay while also enjoying a Chick-fil-A sandwich from time to time — a political anomaly in partisan times that appeals to many voters, including disaffected former Republican voters like myself. The 2020 election will come down to rust-belt states and suburban areas — places that swung for Trump in 2016 but swung back to blue in the 2018 midterms. A USA Today analysis of the 2018 midterm election results across the nation found more than 80 suburban counties and cities — with high incomes and large number of college-educated voters — voted more Democratic than in 2016. These gains are huge for Democrats, but those voters could change their minds again in 2020 if Republicans (and Trump in particular) get smart about their rhetoric and strategy. Importantly, these suburban swing voters were ones who, in 2016, were fed up with career politicians and wanted to shake things up but have been left shocked by how Trump has conducted himself in the Oval Office. These suburban and college-educated voters who are increasingly aligning themselves with the Democratic party also describe themselves as mostly moderates—looking for a government that compromises. Those voters are now looking for stability — something that Buttigieg has been speaking to and seems like he could provide. His calm demeanor and his likable nature make him an ideal candidate to go head to head with a seemingly unstable and broadly unlikable Trump if he were to become the Democratic nominee. Joe Biden is the Democrats' best chance to beat Trump in 2020. No other liberal darling even comes close. While Biden is still my first choice — given his bipartisan record, name recognition and high likability across almost all demographics — he is not currently in the race and continues to face allegations of inappropriate touching. Buttigieg may be the next best choice for me and voters like me if Biden doesn’t enter the race, providing those looking for candidates with more bipartisan appeal with an option. 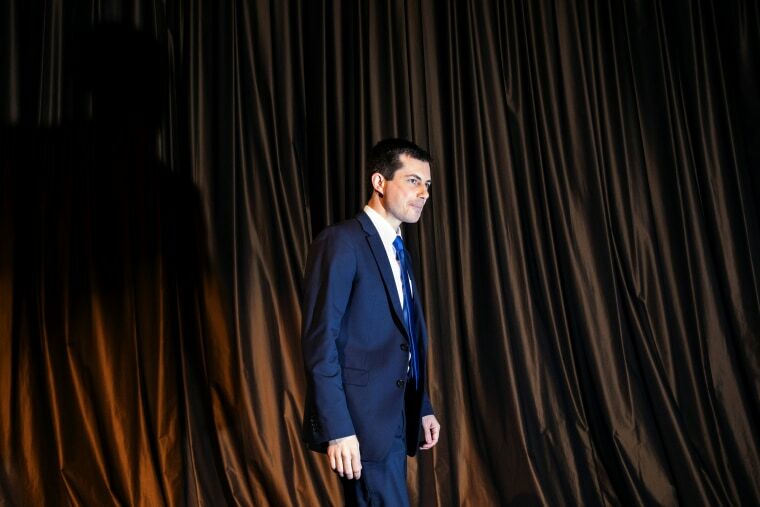 Buttigieg could be candidate in the wings, so to speak, to take up the mantle of an appeal to suburban as well as disaffected party-line voters. Those of us who have been in the political arena for some time know that moments like this can be just a flash in a pan for a fledgling campaign, or it can be the spark that ignites a fire. Buttigieg may not have been the candidate Democrats ever expected, but he may be the candidate that America needs. 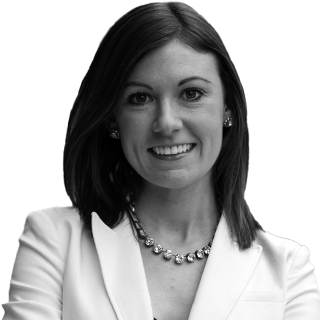 Ashley Pratte is a political commentator and communications strategist who previously served as director of media relations and public affairs at the American Legislative Exchange Council (ALEC) and the director of media relations and consultant for Better For America. She currently serves on the Board of Republican Women for Progress.